Agenda (as Google Doc) Notes are on the Google Doc. 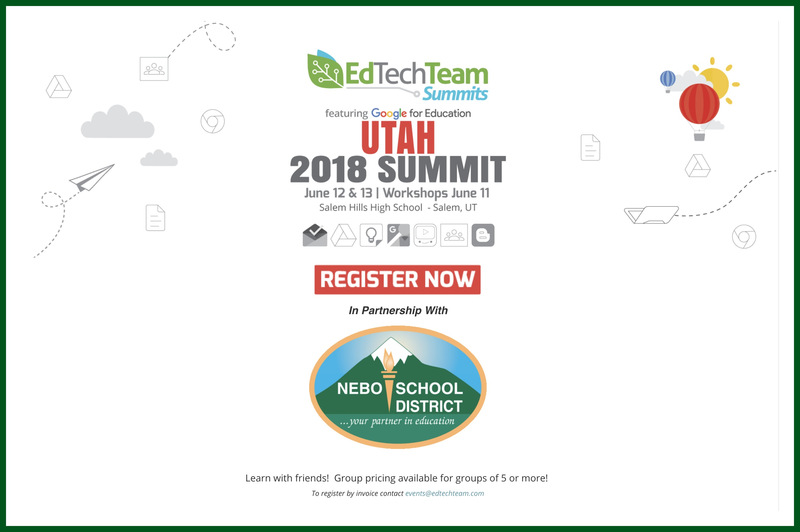 9:45 -9:50 -- Welcome Derek Rentz, Assistant Principal, Orem Jr.
Nebo School District is hosting a Google Summit this summer. Please contact pam.turley@nebo.edu for further information.